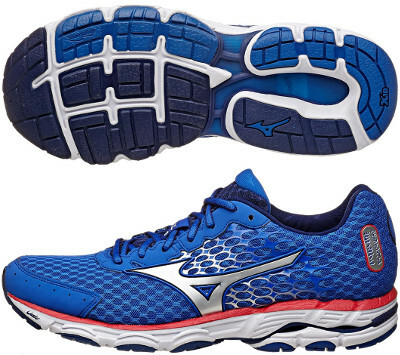 Mizuno Wave Inspire 11 are stability cushioned running shoes. The silent revolution in previous model Wave Inspire 10 played by new compound U4ic, softer and around 30% lighter than old AP+ makes this update much simpler, so no big changes for those looking for some support along their long runs. Similar to its relative for neutral runners the popular Wave Rider 18, this new version of the Wave Inspire presents a redesigned upper where lateral logo is no longer printed on the mesh but stitched to join lace area with sole for a better fit. This model is not the best one to wear under poor light conditions as the only reflective material shows up on the rearfoot's small logo. As well as in its predecessor, internal stripes (DynamotionFit) wrap the foot following its movement featuring a more secure transition. Cushioning, shock absorption and reactive stride have been improved by making sole thicker, so technologies like Wave and SR Touch get an extra help to support heel strikers.